conveyor component solution What are the lubrication methods of self aligning ball bearing-Shandong Xinkaite Bearing Co.,Ltd. 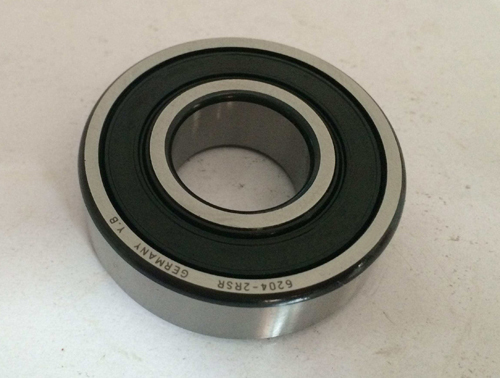 Self aligning ball bearing commonly used lubricants and grease two kinds. When the circumferential velocity is less than 4-5m/s, or the car can not use lubricating parts are lubricated by grease. Use of grease to pay attention to two problems, one is to press the requirements of the car instructions, select the appropriate brand of grease. The two is to add grease to the bearing. The right amount of 1/2-l/3 is only suitable for filling the cavity of the bearing. Too much is not only useless, but also increases the running resistance of the bearing, so that it can heat up and heat up. The advantages of lubricating oil lubrication are small friction resistance and heat dissipation, which are mainly used in high speed and working environment with high temperature bearings. The grades of the lubricants should be selected according to the requirements of the vehicle instructions, and the vehicle maintenance cycle should be changed in time. After the old oil is released, the mechanism should be cleaned and new oil added. The fuel should be added to the prescribed marking, or be equal to the fuel port. Previous article: The common sense of self aligning ball bearing Next article: How to repair the self aligning ball bearing overheating problem?